Our customers requested a lower priced, unassembled drawer box. As a result, we are pleased to announce our Doweled Drawer Boxes, new in our family of Keystone Drawers. * Also available as a rollout with the finished side in front. 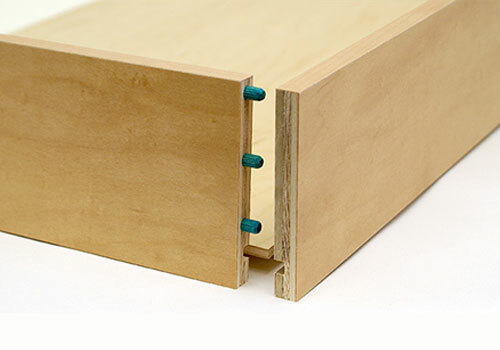 * Pre-glued, water activated dowel pins for fast, easy assembly. * Ask about custom logo laser engraving. For more information, click to go to our Doweled Drawer Box Page.